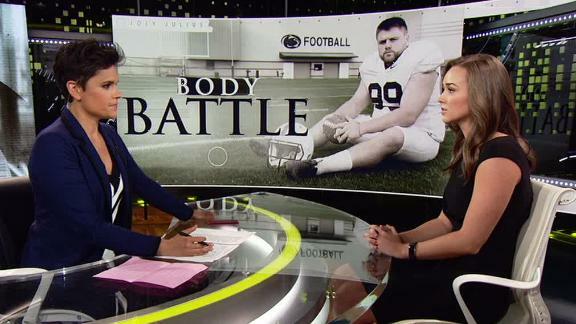 Emily Caron joins OTL to discuss former Penn State kicker Joey Julius' battle with an eating order and depression. On Monday, March 27, 2017, the day after his 22nd birthday, Penn State kicker Joey Julius walked into the Louis and Mildred Lasch Football Building, just minutes from the famed Beaver Stadium, where he had gained national notoriety for his bone-crunching hit on a Kent State kick returner in 2016. He had an 8:00 a.m. monitored workout scheduled in the training room. Medically monitored workouts weren't abnormal for Julius, who had openly struggled with binge eating since October 2016. In May of that year, a then-21-year-old Julius said a temporary goodbye to his home in State College, Pennsylvania, to seek solace in St. Louis -- home of McCallum Place, an eating-disorder treatment center with male- and athlete-specific programs. He stayed for two months. At the facility, Julius was told he had an eating disorder, a diagnosis he had never before received. The 5-foot-10, 258-pound kicker had dealt with erratic eating for most of his life, but after gaining 50 pounds within months of graduating high school -- where he was a four-time football letterman and soccer star -- in the spring of 2014, his erratic eating rapidly escalated and became an increasingly consuming disease. He left McCallum in 2016 finally understanding what was going on with his health. But after his workout that March morning -- an abnormal weather day, he remembers, warm for a town known for its snowy winters and bone-chilling cold -- he was about to leave when instead he stepped on the scale. He weighed nearly 300 pounds, the heaviest he'd ever been. He then walked into the office of Tim Bream, the head football athletic trainer. "If you let me go home, I'm going to kill myself," Julius says he told Bream. Julius came back from his time at McCallum for the 2016 Penn State football season seemingly better than ever. He started speaking openly about his struggles with binge eating, restricting and purging, and returned with a vengeance on the field, continuing his tear as one of the hardest hitters in football. But with each big hit on unsuspecting opposing kick returners, the media and the public reinforced what often fueled part of Julius' self-consciousness about his body: Kickers just aren't supposed to weigh in at 260 pounds. "Body image is my biggest struggle," Julius says. "I think it's one of the hardest things we deal with as human beings. I was a kicker on a football team, and you'd always hear, 'He doesn't have the typical kicker's body.' But I really did not have the typical kicker's body. I was not built like a kicker. I literally looked nothing like I was 'supposed' to be." While Happy Valley supported his success on the field and heralded his hits, they unknowingly and unintentionally contributed to the narrative that had defined Julius' entire athletic career. He didn't look like an athlete. His self-consciousness and self-loathing amplified by the day. Throughout the fall of 2016, Julius remained under the watchful eye of the Penn State football staff and medical personnel. He says they all wanted what was best for him; his teammates, trainers, coaches, the fans -- all of Nittany Nation had his back. They were a family in that sense, close-knit enough that Julius could fall back on their support when needed. By March 2017, he needed it. Binge eating was only part of the problem for Julius, who had also long struggled with depression. The depression led to unhealthy eating, which led to a lack of sleep and placed an extra toll on his organs. As his physical health declined, so too did his mental state, and vice versa. It's a toxic cycle and the reason eating disorders are so dangerous. This spring, his sickness had taken hold again. 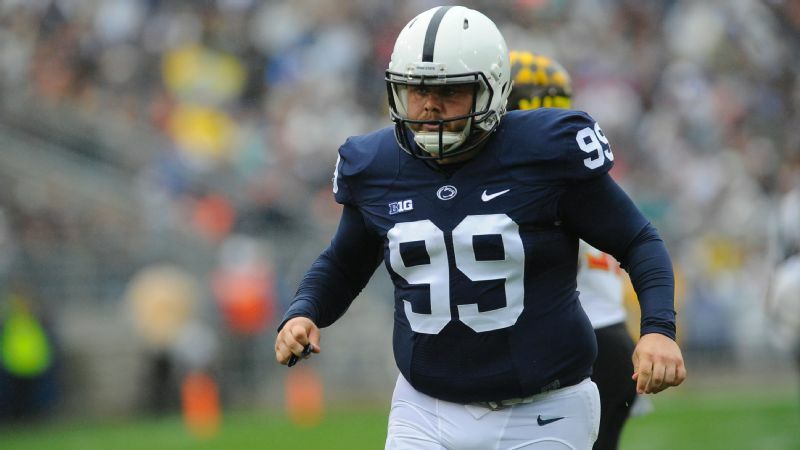 At his heaviest, former Penn State kicker Joey Julius says he weighed nearly 300 pounds. He had thought his suicide through; he had planned how he would end his own life. He just hadn't planned when. When he celebrated his birthday that Sunday in March and still felt the same emptiness, the same loss of control over his life and over his body, he hit rock bottom. When he stepped off the scale the next morning, he was prepared to end it. "I weighed myself, and I remember I had bumped up to like 300 pounds or something like that, and I was mortified. It set me over the edge. I knew this was the day," Julius recalls. But suddenly, standing in the training room, dripping with sweat, he was overcome with fear. He was scared -- not of dying, that he'd thought about countless times. He was scared of himself. His determination to not live another day terrified even the darkest places in him. At his weakest, at his most vulnerable, and on the brink of suicide, Julius became his strongest -- strong enough to ask for the help he needed. And it saved his life. "I don't know what it was, but something inside of me made me stay. Now I think it was the Lord saving me from myself," Julius says. He stayed with Bream in his office, afraid and anxious for what would come next. He cried uncontrollably, overwhelmed by the weight of his emotions and frightened by his commitment to ending his own life. 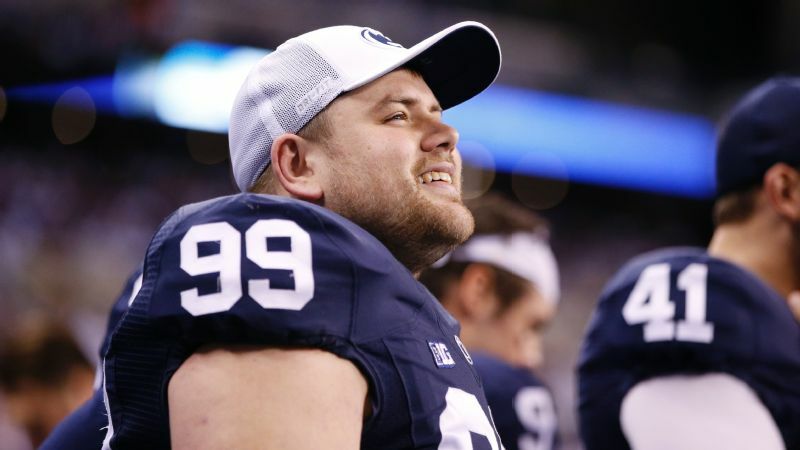 Bream then called the Penn State mental health crisis hotline before he took Julius home, where long snapper Kyle Vasey, his roommate, stayed with Julius until Bream could make an appointment for him to speak with a campus psychiatrist. They discovered the litany of pills Joey had amassed for this moment and confiscated them. "I was at that point that I was ready to do it, wholeheartedly," Julius says. 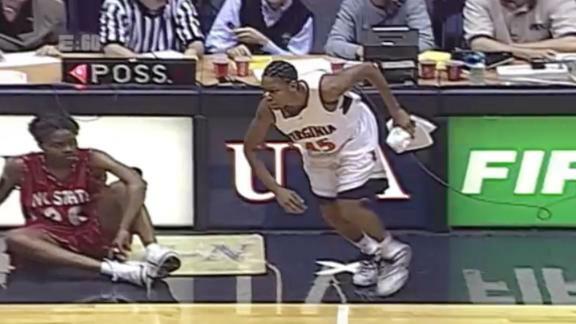 Julius' mother, Patty, left work immediately after hearing from her son and Bream, and raced to State College. "Even if I hear it in his voice that maybe he's not [OK], you just hope that with the support of his trainer, who's been wonderful, and his doctor, who's also been wonderful, that everything is under control," she says. "But I guess that's the hard thing about mental health, is you don't know a lot of the time. "I can't say I was shocked that he would try to kill himself because I knew the despair he was in with his own battle with his depression. But I was hopeful when he admitted that he was at that point." After a visit to University Health Services, Julius was admitted into Mount Nittany Medical Center. He spent six days in the psychiatric ward while his teammates practiced and prepared for the upcoming Blue-White spring game. Directly upon discharge, Julius headed for Philadelphia International Airport where he boarded a flight for St. Louis. He immediately re-entered treatment at McCallum Place. Last week, Penn State announced his removal from its roster. "We take great pride in our student-athlete welfare programs and we are very grateful that Joe utilized those resources and felt supported during this difficult time," the Penn State football program said in a statement. "Joe's health and welfare are what is most important in the long term." Joey Julius says a visit to his trainer's office saved his life in March 2017. This year's scare wasn't the first time Julius had tried to take his own life. Just days after Penn State had dominated Illinois in a shutout at Beaver Stadium in the fall of 2015, the then-redshirt freshman attempted suicide for the first time. Two of his extra points had been blocked and a kickoff went sailing out of bounds before he was pulled from play that Halloween night. But he felt nothing -- his depression had consumed him. Over the course of the next few days, the darkness drove him to the brink. He never mentioned the attempted overdose to anyone outside of his therapist. He took the next week off, missing an away game against Northwestern. "It wasn't the start [of my depression], but it was when I realized that this was bad, really bad," Julius says. Most eating disorders are likely associated with anxiety or depression, says Andrew Walen, founder and CEO of The Body Image Therapy Center in Maryland and Washington, D.C., and president of the executive board of the National Association for Males with Eating Disorders. "There's almost never a case where we would see an eating disorder develop out of no underlying mental-health concern," Walen says. "Depression and eating disorders go hand in hand. They're separate, but they're the same. They have a lot to do with each other," Julius says. Eating disorders are a coping mechanism for individuals struggling with something more; the food behavior is a form of self-medicating an underlying issue. But for men, these issues are overlooked more often than not. This is what Walen calls "gender ambivalence" in eating disorders, adding that about 93 percent of all research around the issue is focused on women. "That is a sorry state of our mental-health community, not even thinking that males can have this problem," Walen says. Anywhere from a quarter to one-third of all eating-disorder cases are male, according to research published by Dr. James I. Hudson, a psychiatrist and leading authority on binge-eating disorder, and a team of fellow Harvard doctors. Cultural stigma and underdiagnosis also mean that the number of males with eating disorders could be much higher, according to the National Eating Disorder Association (NEDA). "The old information that we used to hear is that 1 out of 10 cases of eating disorder in general are male, but the reality is that 1 out of 10 are seeking treatment are male," Walen says. Men make up about 40 percent of all binge-eating cases, according to NEDA. Augmenting this gender ambivalence are the actual methods used to diagnose eating disorders. Before the 2013 update to the American Psychiatric Association's classification and diagnostic tool, men technically couldn't even be diagnosed with anorexia. One of the criteria for diagnosis was that the patient had to have lost their menstrual cycle, a standard that immediately excludes males. The diagnostic language itself is crafted to cater toward women, as are most eating-disorder treatment programs. "I think if I was a girl, or a female, my staff would've probably come to the conclusion of an eating disorder within the first month of what I was doing," Julius says. "I think it took so much longer for them to figure it out because I was a male. "It's a disease that people are dying from, a disease with one of the highest mortality rates, but when I was trying to find a treatment center, most centers didn't even take men. It was so hard to find a treatment center to begin with." Walen notes that there's only a handful of clinicians around the country trained to work with men with eating disorders. "There's a significant need -- a significant need for better training and better awareness." About 10 percent of individuals with eating disorders die from complications related to the disease, which could be stroke, heart attack or suicide, according to research published in 2011 by the American Medical Association in the Archives of General Psychiatry. "It's the scariest mental-health disease we know of, and to think that it's about food is the mistake. The issue is that these are mental-health disorders where food is simply the first thing we notice," Walen says. For Julius, it was especially scary. According to research released in 2015 by the journal Sports Health, NCAA male athletes have a significantly higher rate of suicide compared to female athletes, and football athletes appear to be at greatest risk. Add in Julius' suicidal ideations that came with his eating disorder, as well as the high risk of self-harm that accompanies depression, and it was a fire waiting for a fuse. Julius first attempted to take his own life before he'd even been diagnosed as a binge eater. 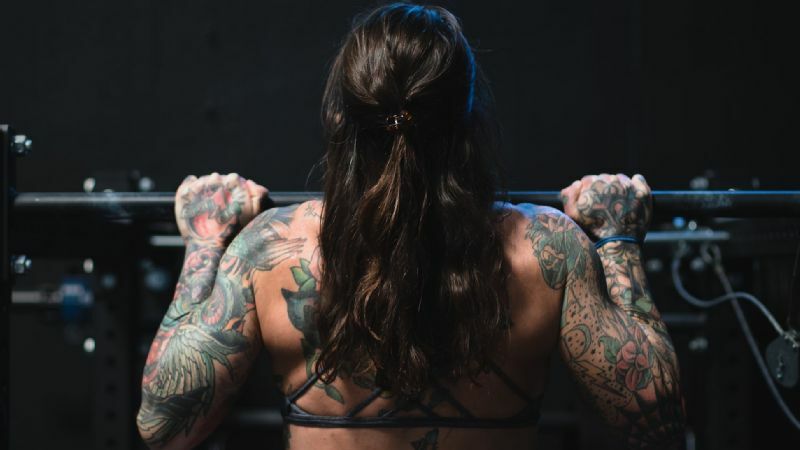 Seventy-eight percent of binge eaters never receive help, leaving many males to struggle in isolation, according to Chevese Turner, founder and CEO of the Binge Eating Disorder Association. That's often because the stigma of femininity and the perceptions of weakness prevent many men from coming forward. "Most of the research out there is, how do we identify males with eating disorders? We haven't even gotten to, how do we treat them?" Walen says. "There is a world of work to be done." "I've never liked the way I looked, but I never talked about it until other people did. But I'm finally doing better now," Joey Julius says. The societal messages aimed at men -- and especially at athletes -- portray and promote hypermasculine physiques. It's a culture that permeates the walls of every college football program, and Penn State is no exception. Julius says the media attention only heightened his awareness of his body. 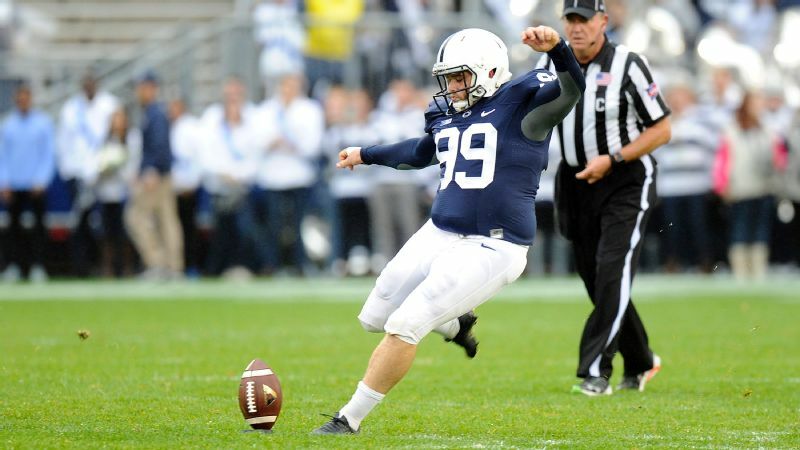 In 2015, Julius scored the Nittany Lions' first points of the season with a 34-yard field goal against Temple. The internet exploded. In an instant, his identity was altered. 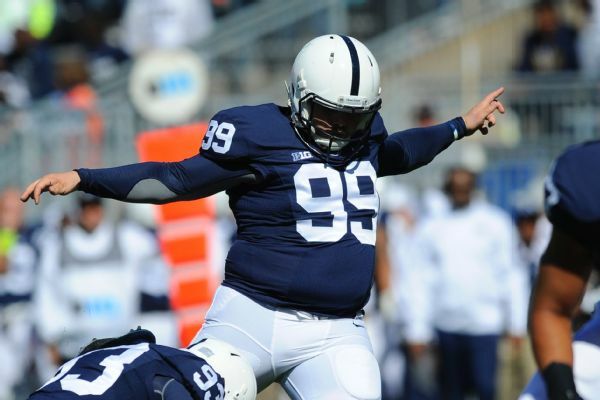 He wasn't Joey Julius -- he was Penn State's 259-pound kicker. The focus wasn't on his strength or his success; it was on his size. He wasn't hypermasculine; he was heavy. The next day, Julius decided he needed to lose weight. And so began the near-deadly cycle that has haunted him since. "It was what I call my silent struggle. I hated the way I looked always. I've never liked the way I looked, but I never talked about it until other people did. But I'm finally doing better now," Julius says. Julius has been an advocate for eating disorders for the past year, even while he himself still struggles. He has made it his mission to raise awareness, speaking publicly about his eating disorder and now about his deeper dealings with depression and body image. He's using the platform that his Penn State stardom has afforded him, speaking out against the very stereotypes and assumptions that delayed his own diagnosis. He has had hundreds of people reach out to him about his story, of which he estimates about 70 percent are male. It's these people who find solace in his story, who find courage in his candor, who make speaking so publicly about something so personal worthwhile. He also wants to stop the stigma around eating disorders, mental health and suicide. He wants men, and women, to seek the help they need, to shun the shame they may feel and to embrace help. It's what saved his own life. "For the first time in, I can't even remember how long, at least five or six years, he is taking care of himself," his mother says. "His heart is so huge, that he always wants to help other people. If that means that he has to put himself out there to do it, he'll do it. It's just who he is." "Every person who can hear my story can help end the stigma," Julius says. "The end goal is just to get the knowledge in everybody's hands ... It means that what I'm doing isn't for nothing." For more information on treatment options, visit www.MyNEDA.org or contact NEDA's Live Helpline @ 800-931-2237.